For many people, this is the scariest conversation they can imagine having with their boss. They prefer to avoid the situation and just accept the standard annual pay increase (if any). But if you've been adding value to the company, you deserve better than that. Your annual performance review is the ideal time for this discussion because it gives both parties a chance to prepare for a mutually satisfactory outcome. Just showing up at your supervisor's door and demanding a raise is much more likely to get a knee-jerk no, if only because your supervisor isn't authorized to make that decision on his/her own. Like a lawyer getting ready to go into court, plan out your arguments as to why you deserve a raise, and back them up with supporting evidence. This evidence could be production or sales quotas you've exceeded, compliments you've received from customers, projects you've completed successfully, ways you saved the company money or brought in new business, etc. Ideally, you've been keeping a record of all this throughout the year, which you'll bring with you to the meeting. A few minutes on the internet should give you a good idea of typical pay rates for your position, industry and geographical location. Use this as your guide in how much you ask for, and for making your supervisor aware of how much it would cost to replace you. On the other hand, you need to be aware that you won't be jumped from the lowest to the highest end of the salary range in one shot. Focus on the company's needs, not yours. During the discussion, stay away from any personal reasons why you need more money. No whining, ranting or begging. This should be about your employer retaining a valuable worker and looking forward to more such contributions from you in the future. Emphasize that you achieving your career goals will help the organization achieve its business goals. Be open to non-salary remuneration. Given the economic climate, it's possible that there just isn't any leeway in the payroll to give anybody a raise. Instead, you may be offered, or you might suggest, other benefits such as more scheduling flexibility, more paid personal days, company-paid educational opportunities, or performance-based bonuses. If you feel this offer has as much value to your career as extra money in your paycheck, it could be a compromise that pays off more in the long run. What to do if they say no. First, don't be too disappointed. Many companies have yet to recover from the recent recession, and will reward loyal employees just as soon as they can. 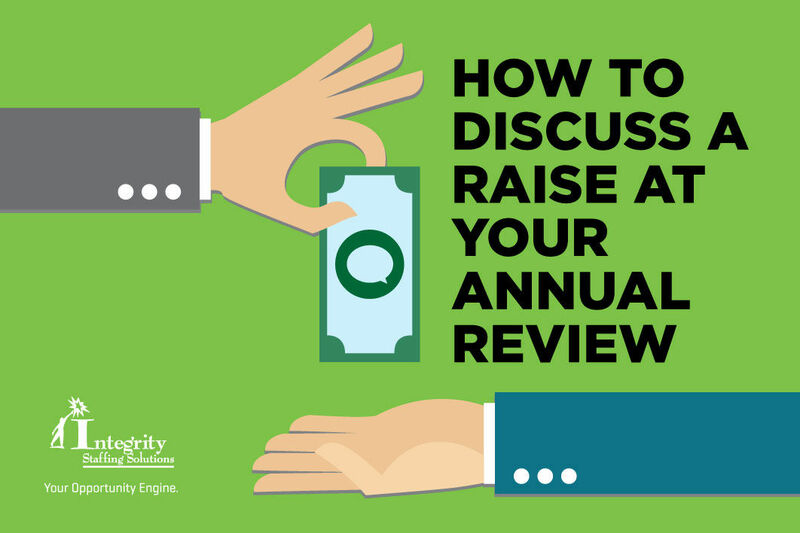 If that's not your employer's situation and you see co-workers getting raises, ask for suggestions on what you can do in the coming year to get a raise at your next review. Whatever you do, don't lose your head and issue an ultimatum: give me a raise or I walk today. You might regret that tomorrow. And even if you do decide it's time to leave, it's better for many reasons to do your job hunting while you're still employed.